Whether we have designed your garden, you have a plan from another designer or you are a garden designer yourself, our skilled and experienced landscaping team can transform the ideas into a finished garden. We apply the same processes and award winning landscaping service to all our projects, large and small and are accredited to ISO 9001 /14001. In addition, we carry the Trustmark, are BALI registered and members of the Association of Professional Landscapers (APL). 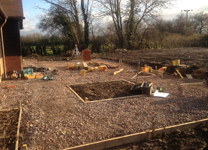 Our landscape teams have a vast amount of experience and care passionately about delivering a quality end product in a totally professional manner. 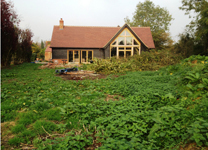 Browse our 'Before and After' Portfolio section for just a few examples of our work. 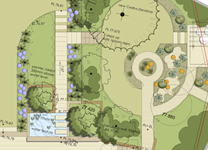 If we design your garden, your designated garden designer will be committed to you and your project for its entirety, liaising with you and the build team to oversee the work and ensure plans are implemented correctly.